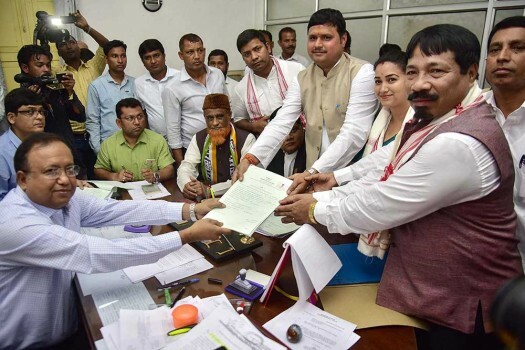 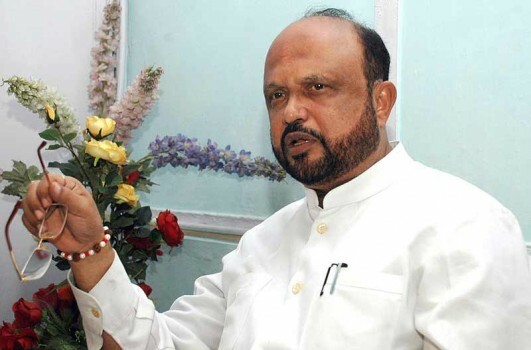 Asom Gana Parishad candidate Moni Madhab Mahanta files his nomination from Kaliabor constituency for the upcoming Lok Sabha elections, in Nagaon. 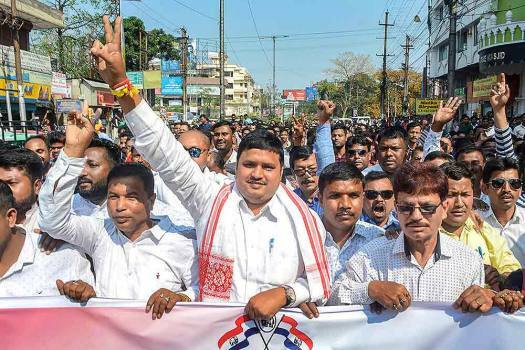 Former All Assam Students Union leader Mani Madhav Mahanta shows victory sign as he arrives with his supporter to join Assom Gana Parisahad (AGP) party, in Guwahati. 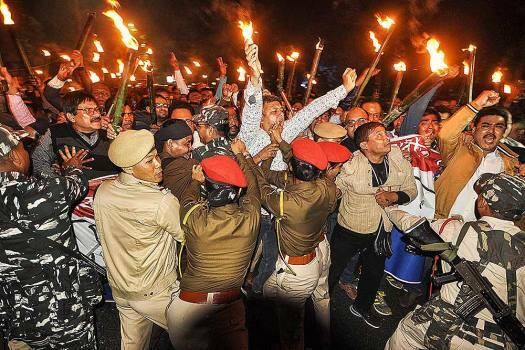 Asom Gana Parishad members clash with police personnel during their torchlight vigil in protest against Citizenship Amendment Bill, in Guwahati. 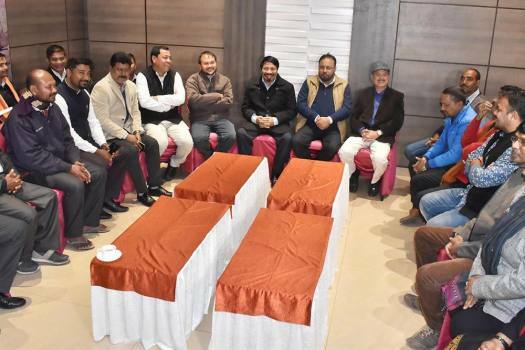 Leaders of Asom Gana Parishad (AGP) along with the members of 70 organizations of the state during a meeting regarding Citizenship (Amendment) Bill 2016, at a hotel in Guwahati. 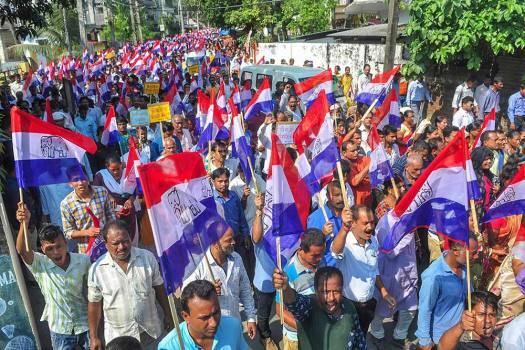 An AGP protest rally in Guwahati on Tuesday. 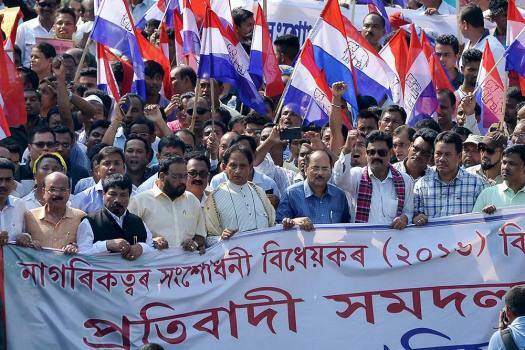 Assom Gana Parisahad (AGP) activists take part in a protest rally during 12-hour Assam Bandh, in Guwahati. 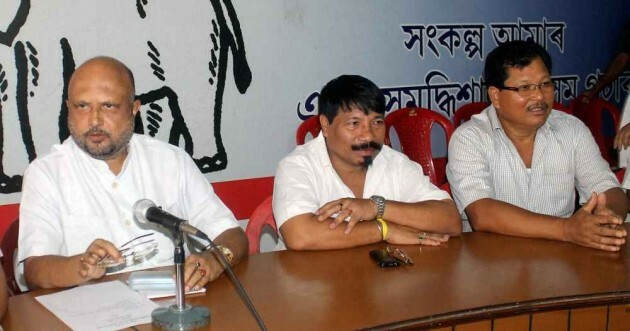 President of Asom Gana Parishad (AGP) Prafulla Kumar Mahanta addressing the party's executive meeting in Guwahati. 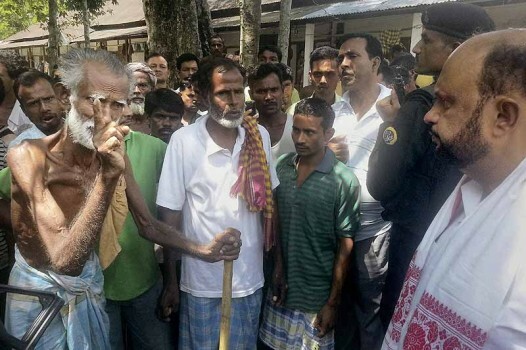 AGP President P K Mahanta interacts with riot-hit people at a relief camp at Bijni village in violence-hit Chirang district of Assam. 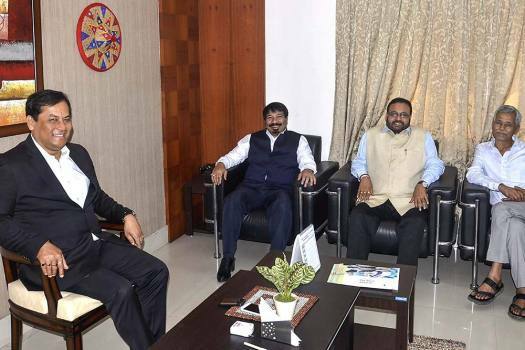 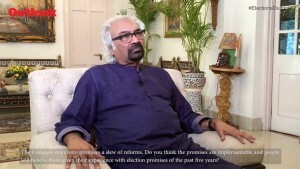 BJP general secretary Ram Madhav on Tuesday night announced it officially. 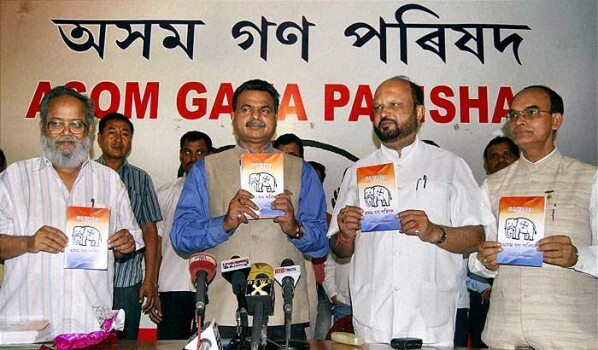 He said that they have decided to come together with a common goal of defeating Congress. 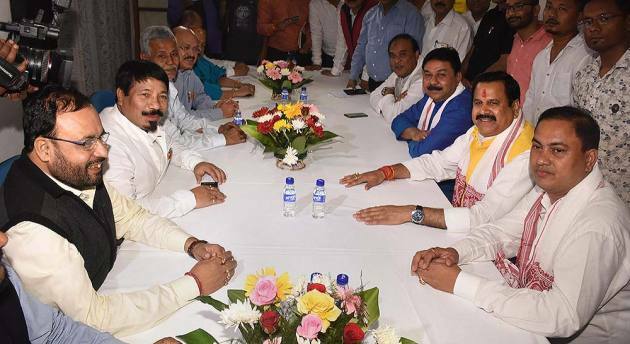 With the 212 Zila Parishad seats out of the total 420 constituencies, the BJP has emerged victorious in the recently concluded Panchayat polls.